Traditional English May Day celebrations originate from pagan Anglo-Saxon customs. 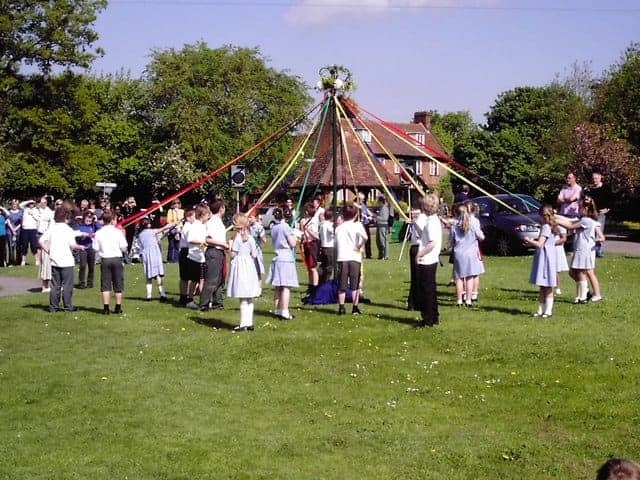 May Day is most associated with communities celebrating springtime fertility and is marked with village fetes, Morris dancing, crowning a May Queen and celebrations involving a maypole around which traditional dancers circle with ribbons. A bank holiday on the first Monday in May was created in 1978 but the tradition of a 1st of May holiday precedes even King Charles II. May 1, 1707, was the day the Act of Union came into effect, joining England and Scotland to form the Kingdom of Great Britain.